Home > Holidays > 2019 Christmas Food, Decor & Craft Ideas > 21 Super Easy Snowflake Crafts for Kids to Make this Christmas! These EASY snowflake crafts for kids are perfect for decorating your home this Christmas or making MEMORIES on snow days! 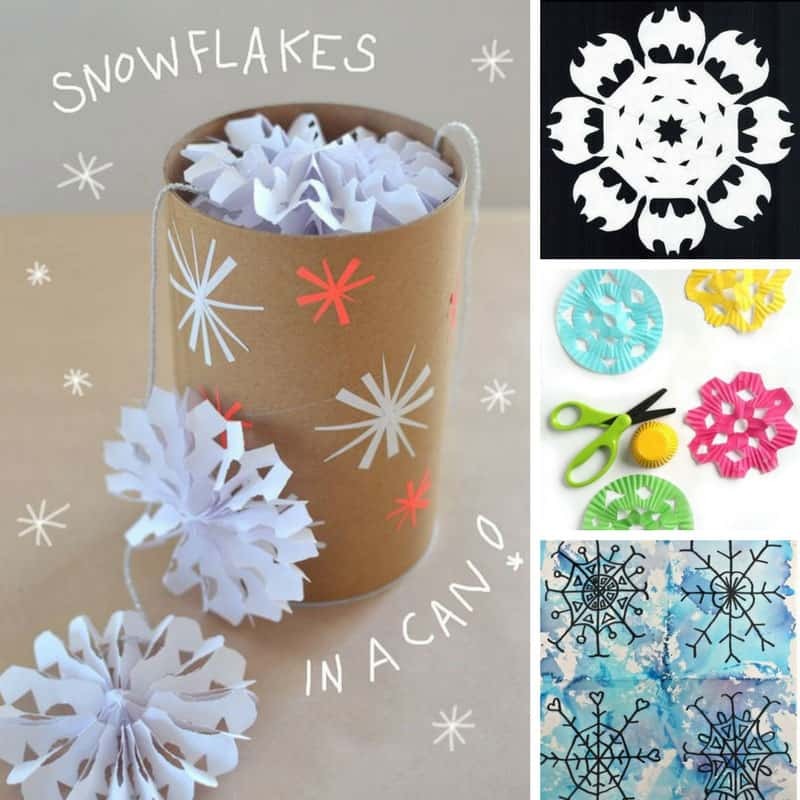 Easy Snowflake Crafts for Kids to Make this Christmas! Whether you want to decorate your home for Christmas or you need some fun activities to pass the time on a snow day you cannot beat these easy snowflake crafts for kids (and grownups)! 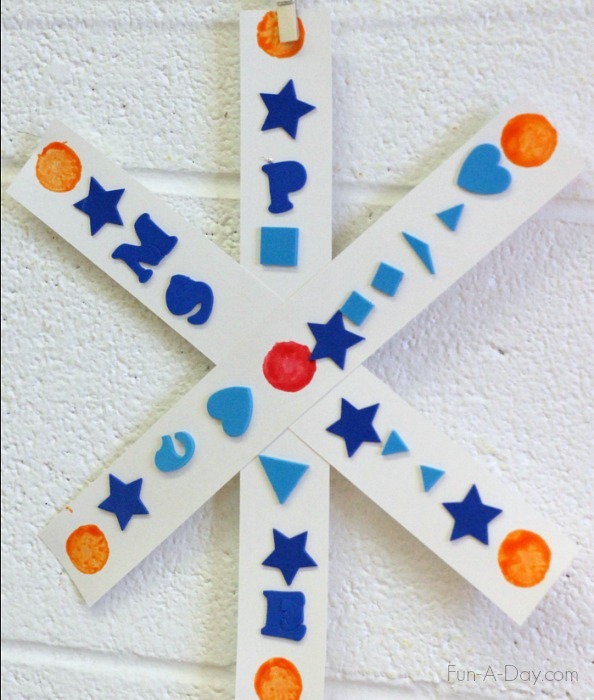 Symmetrical Snowflakes – Love the idea of exploring symmetry with this snowflake craft! 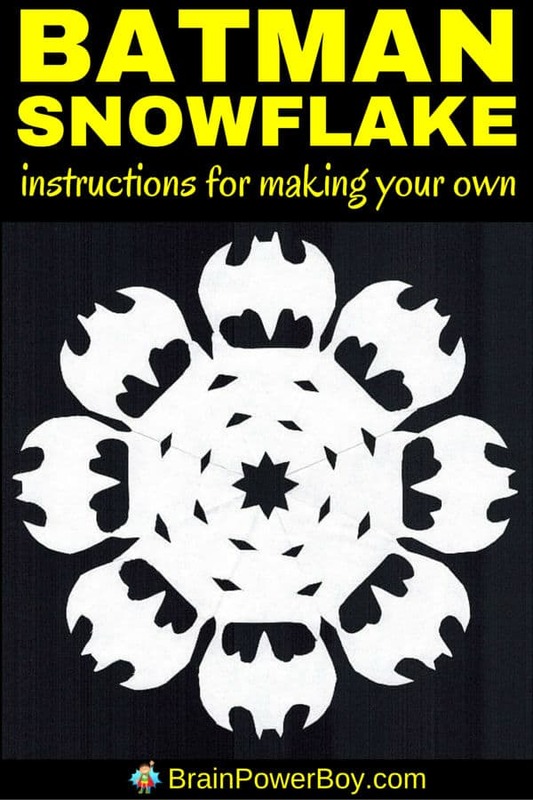 Batman Snowflake Pattern – How COOL are these Batman snowflakes? The PERFECT Christmas craft for boys who love super heroes! Popsicle Stick Snowflake Ornaments – These snowflake ornaments are ADORABLE and such FUN to make too! 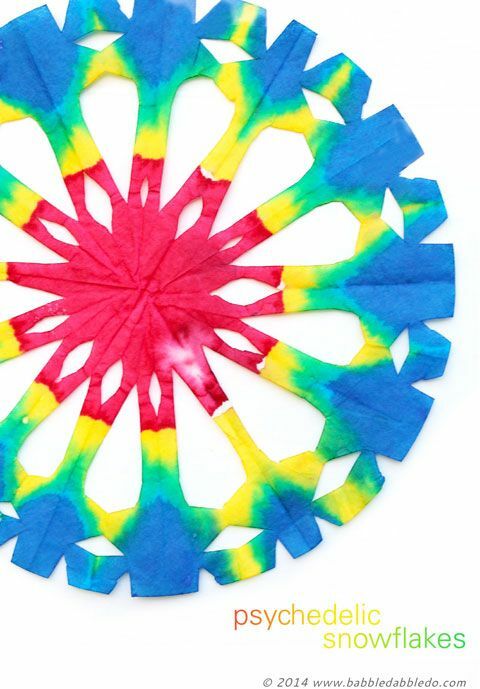 Make a Psychedelic Snowflake – Oh these snowflakes are SUPER colourful! We’re going to have a BLAST making these! 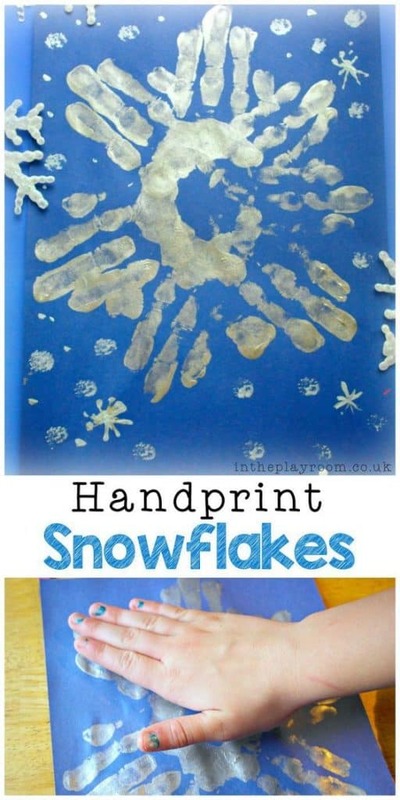 Snowflake Handprints – Grandma LOVES it when we make handprint crafts so this snowflake is on our list for Christmas activities! 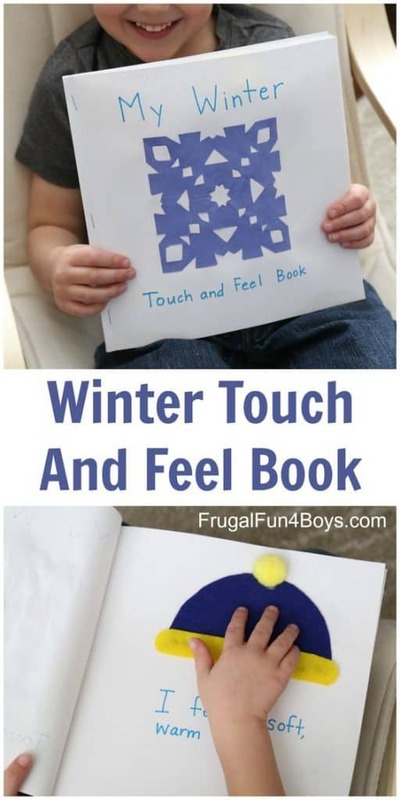 Make a Winter Touch and Feel Book for Toddlers and Preschoolers – Ooh so much more than just a snowflake craft – this is a whole book for winter! Proprioception Winter Activity Cutting Paper Snowflakes with Kids – BEAUTIFUL snowflakes and a great way to practice scissor skills! 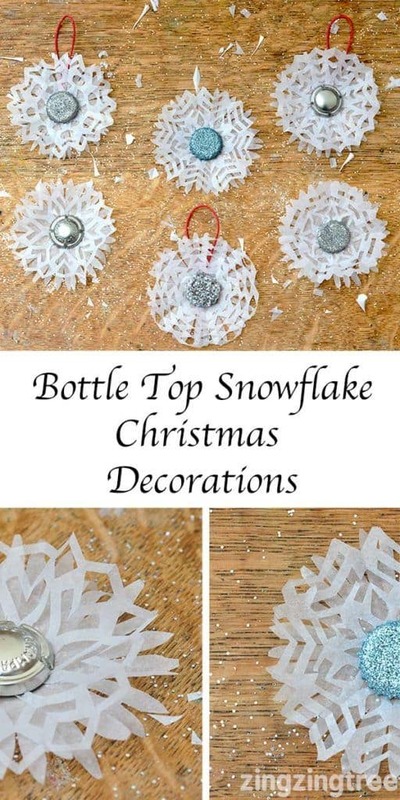 How To Make Stunning Bottle Top Snowflake Decorations – These snowflakes will look GORGEOUS hanging from the Christmas tree! Christmas Sensory Bottle – Ooh What a WONDERFUL way to use snowflakes by making a snow globe! 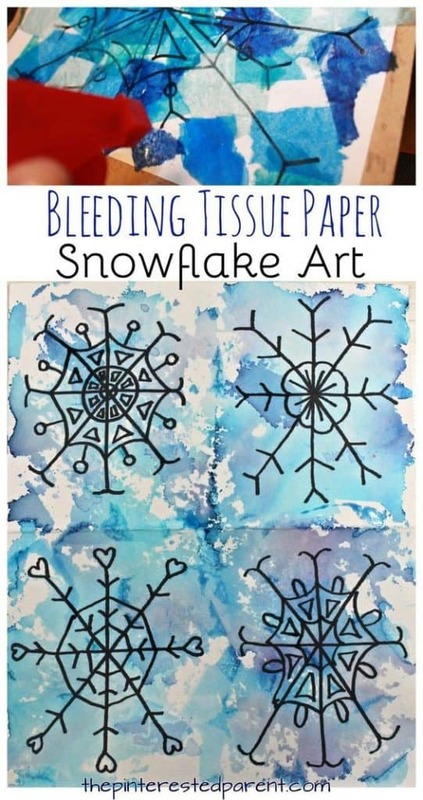 Tissue Paper Snowflake Art – These tissue paper snowflakes are BEAUTIFUL! 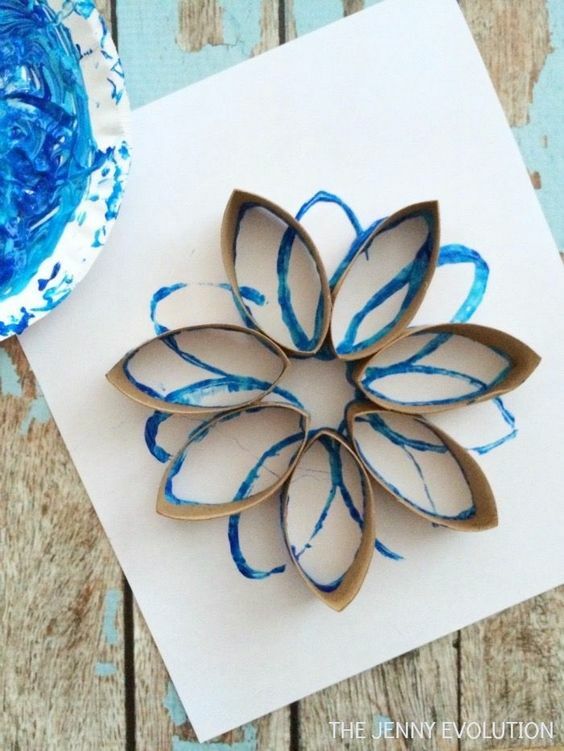 What a FABULOUS Christmas craft idea for the kids! 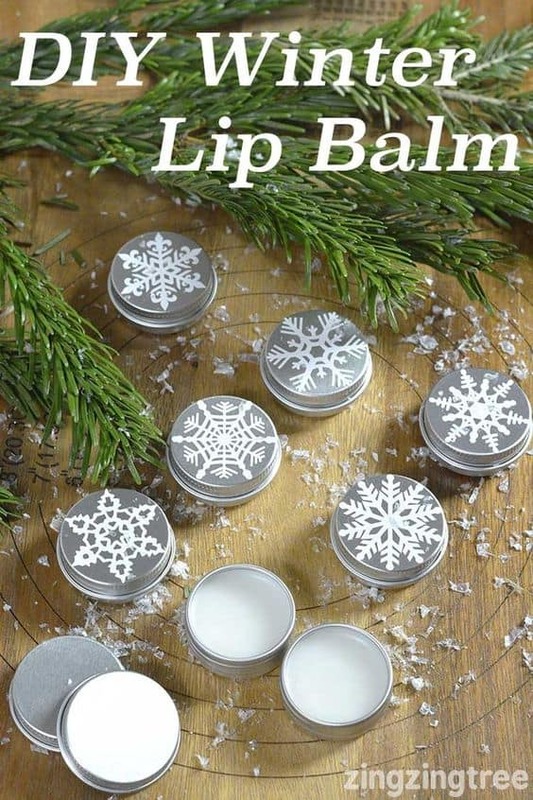 DIY Winter Lip Balm – Perfect snowflake craft for older kids – decorating lip balm pots! These will make great stocking stuffers! 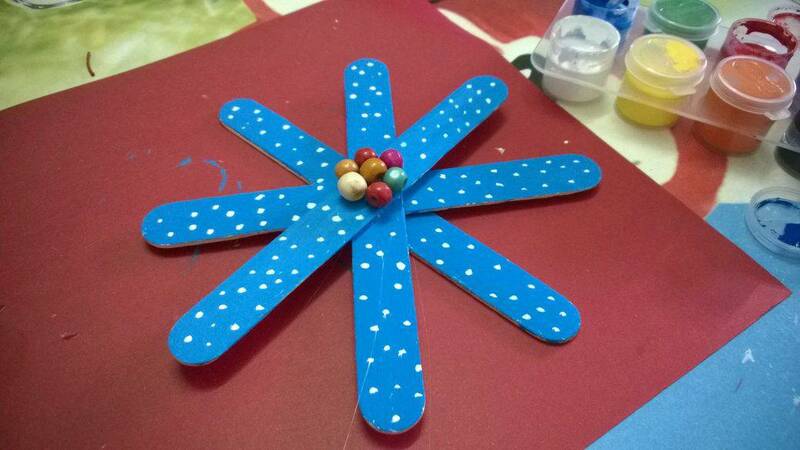 Q-tip Painted Snowflakes – This snowflake craft is PERFECT for toddlers! Winter Sugar Painting For Kids – Sugar painting is so much FUN and had a BLAST making these snowflakes! 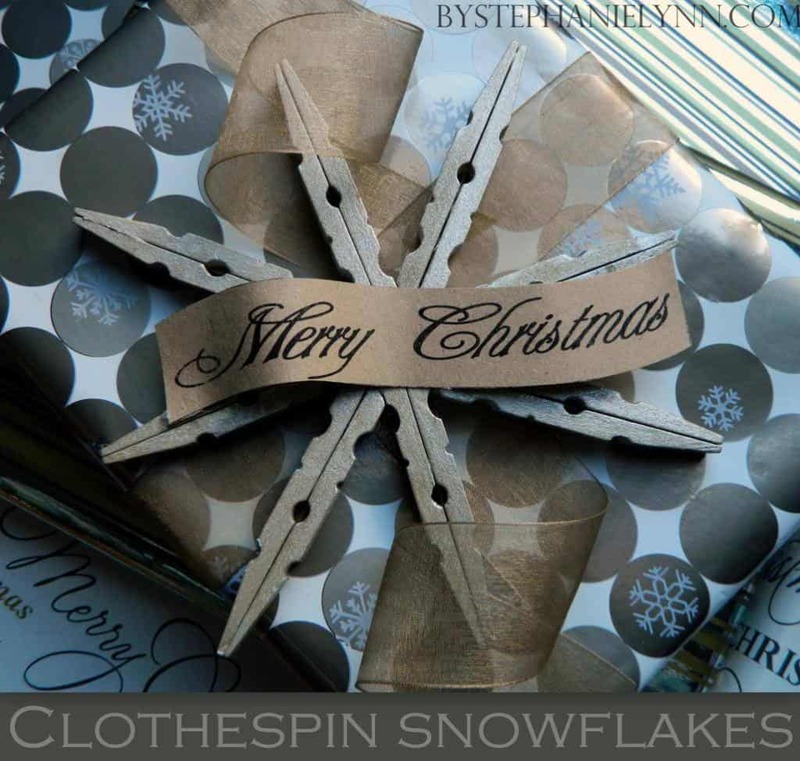 Clothespin Christmas Snowflake Ornaments – LOVE these snowflake ornaments – what a great idea to make them using clothespins! 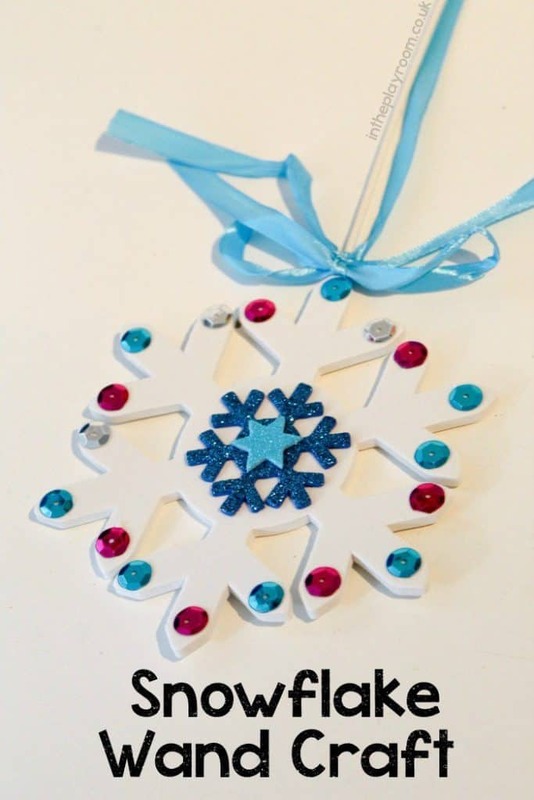 Snowflake Wand Craft – PERFECT Snowflake craft for fans of FROZEN! Winter Snowflake Slime – Winter MESSY PLAY! 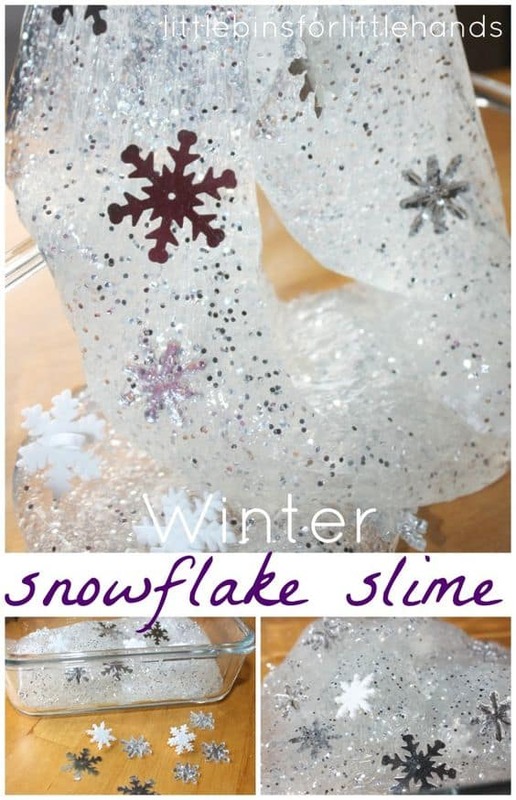 How pretty does this slime look filled with snowflakes! 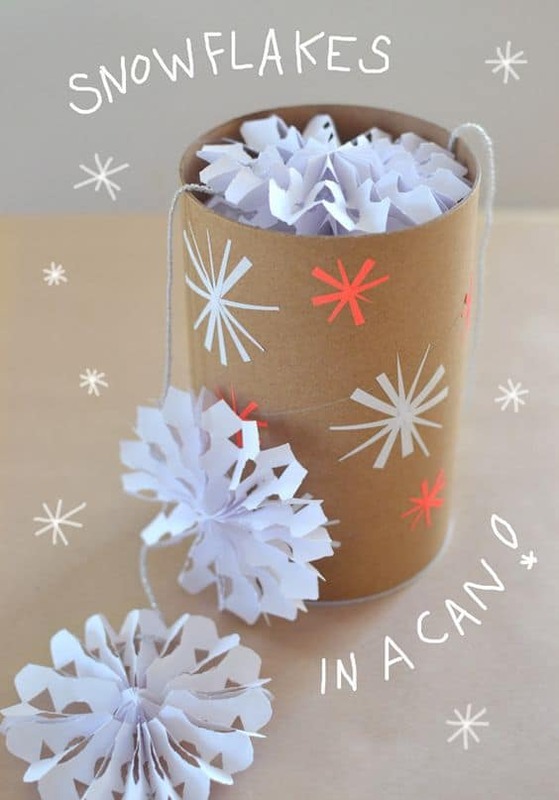 Snowflakes in a Can – What a BRILLIANT idea for a gift in the mail – a can filled with snowflakes! 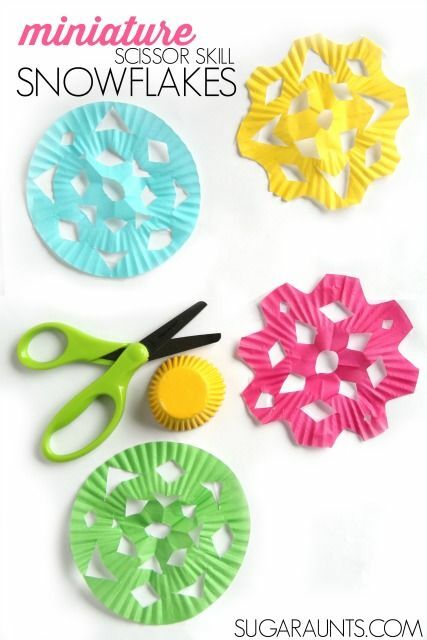 Winter Play Dough with Snowflakes – What a fun idea for Play Dough – making Christmas snowflakes! 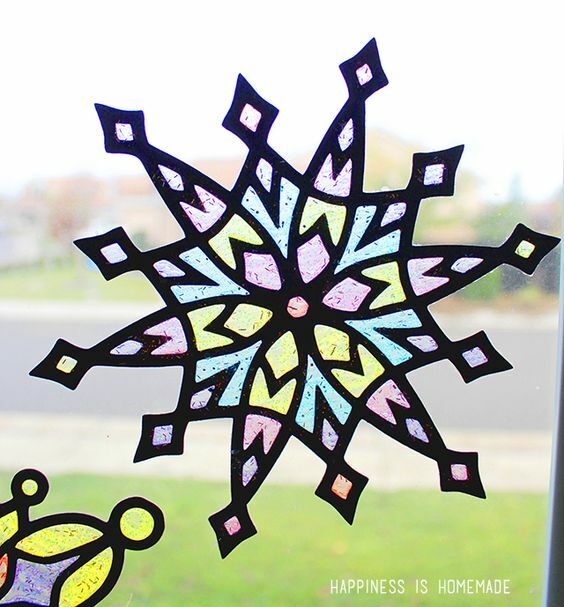 Glittery Stained Glass Snowflakes – Aren’t these Glittery Stained Glass Snowflakes the most BEAUTIFUL Christmas decorations ever! 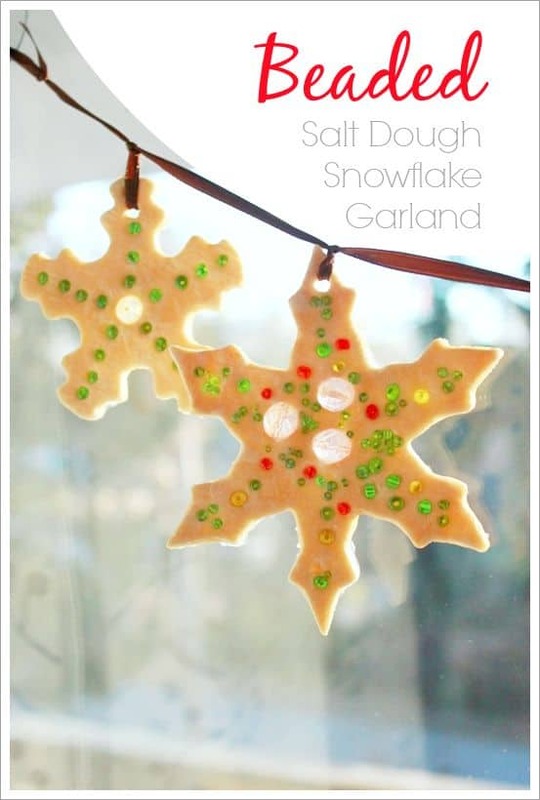 Beaded Salt Dough Snowflake Garland – You can never have too many salt dough ornaments at Christmas and this Snowflake garland is GORGEOUS! !